Most of the time when imagining summer, we have a pretty idyllic image in our heads: sun-filled days at the beach, breezy picnics in the park, evenings spent outdoors sipping rosé, and so forth. The reality, however, is that the season comes with a few curveballs now and again whether it’s a midsummer monsoon, overactive air conditioning, or a clammy commute. Dressing can be confusing when you’re jetting out the door ready to take on 100 degrees and find yourself shivering an hour later. Or, perhaps you’ve planned a number of looks for a warm-weather vacation only to realize that the moment the sun goes down, an extra layer (or 2 or 3) would have come in handy. That’s where strategic outfits come into play—the kind built with transitional layers in mind to ward off chill or to shed when it gets too toasty. All it requires is a little extra thought and a willingness to experiment. 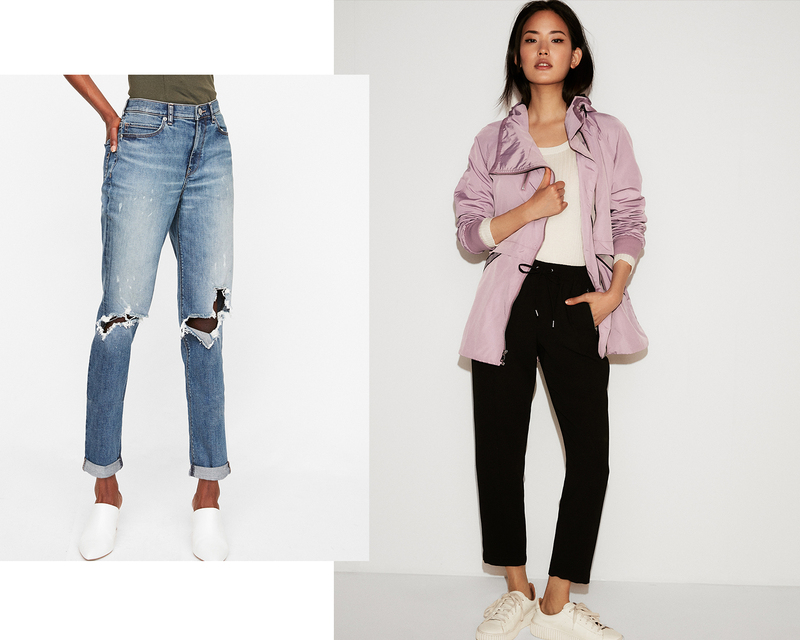 From daytime dresses to separates for off duty and beyond, we’ve assembled five fail-safe formulas ahead that you can lean on now and through Labor Day. When reaching for a throw-on-and-go dress, it’s easy to accessorize and be on your way. Rather than risk one too many goosebumps in A/C or after sunset, a ribbed sweater makes for a stylish layer. If your dress is neutral, go for a colorful knit for a pop of color and vice versa if you don a punchier frock. Styling options are endless: drape your sweater over your shoulders for a skosh of coverage, tie it around your waist or cross-body like a bag around your chest (very cool girl) or simply toss it into a bag when the layer isn’t necessary. It’s the summer of coordinated denim sets and for weekends with friends or a casual date night, we’ve for a floral printed take on the trend. 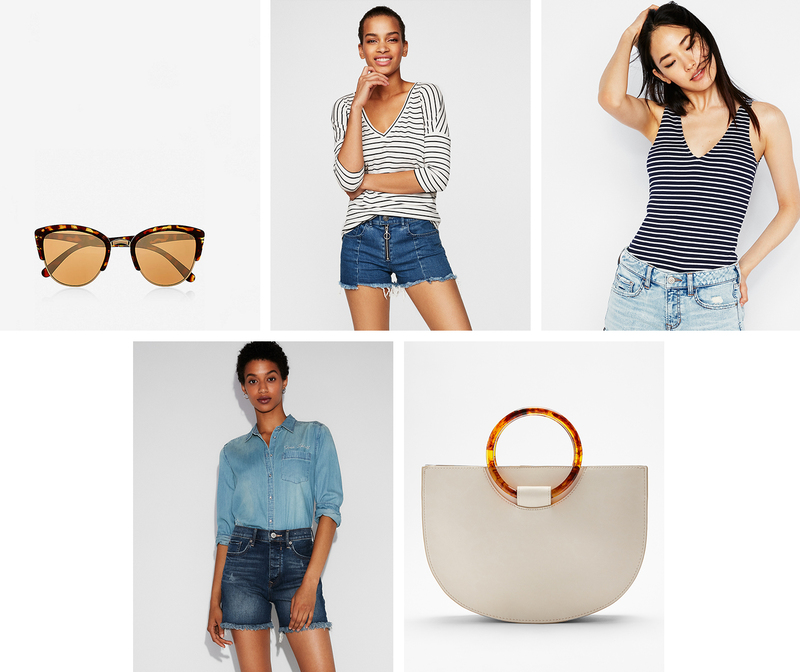 The outfit is simple, just style over a T-shirt with a tote, sandals, gold hoops and slides. If you’re too warm and need to shed the jacket, simply toss it into your spacious bag and you’re good to go. Sudden downpours are the worst, but if inclement weather is in the cards, prepping your look with a water-resistant layer is smart. Go the trendy route and style a lightweight windbreaker over an easy-chic camisole and jeans ensemble. 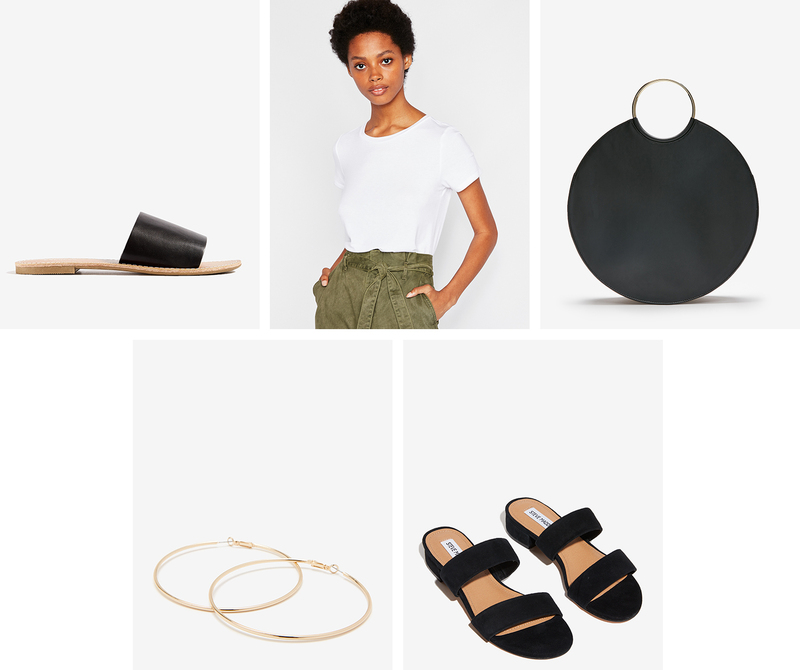 Toe-strap kitten heels and resin hoops give the look a forward effect that’s just right for laid-back cocktails or dinner on a terrace. What’s worse than being on vacation and realizing warm layers were not part of your pack? One piece you should always include in your suitcase is a breezy button-down shirt. Of course, it was made to be worn on its own with jeans, shorts, and skirts. But it’s also a genius layer over an easy maxi dress when worn open like a jacket. Throw on into your beach bag so you’re prepared by the sea or tie one around your waist to have handy once the sun goes down. Those familiar with coastal climates know how chilly it gets by the beach. A clever way to play it safe is to double up on stripes, and what’s more nautical that white and blue lines? A long-sleeve striped shirt effortlessly layers over a fitted tank and cut-off denim shorts whether you’re having a lobster roll lunch, riding bikes on the strand or imbibing by a bonfire. When your tank is enough, tie the extra shirt around your shoulders or waist or toss it into a bag. Easy peasy.